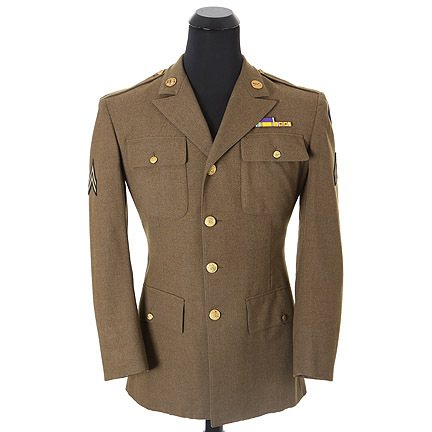 This wool military tunic was worn by “Slim Green” portrayed by Robert Hutton in the 1944 film, “Hollywood Canteen”. 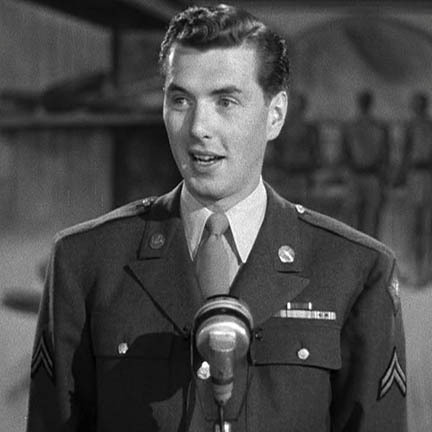 The film also starred Joan Leslie, Dane Clark and many Hollywood celebrities in cameo performances. 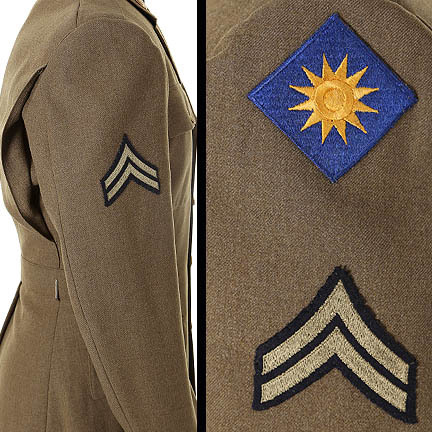 The custom made coat is complete with corporal patches on each arm, a 40th Infantry Division insignia on the left arm, decorated ribbons, and brass US army and auxiliary pins on the lapel. 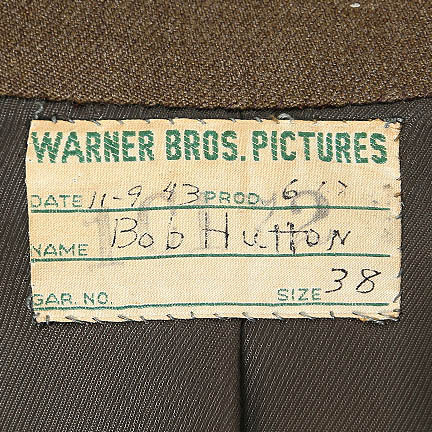 The original “Warner Bros Pictures” studio label is sewn inside the coat pocket and includes the date “11-9-1943”, production number “617”, and the actor’s name “Bob Hutton” handwritten in ink. 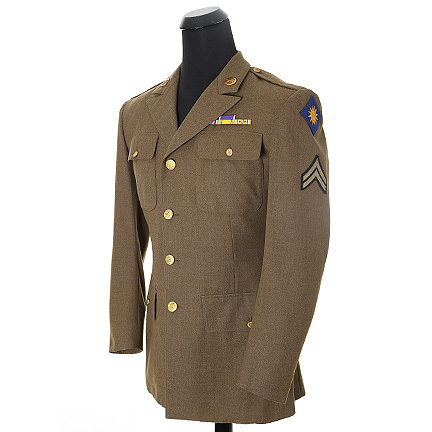 Mr. Hutton wears this tunic throughout the film. 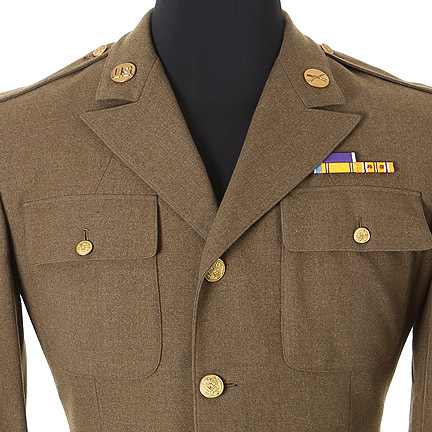 He first wears it when Slim Green and Sgt. Nolan (Dane Clark) arrive in Hollywood and the two agree to explore the sights on their own, planning to meet back at midnight. 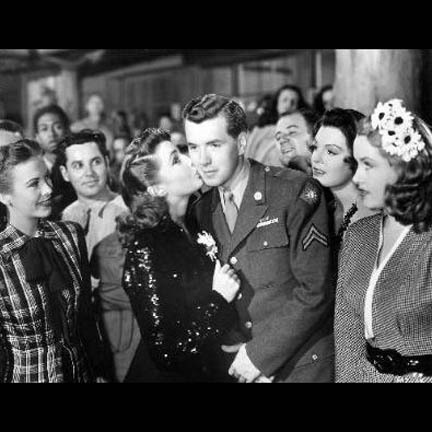 Slim visits the “Hollywood Canteen” and meets Joe E. Brown, Barbra Stanwyck, Jack Carson, Bette Davis, and John Garfield. 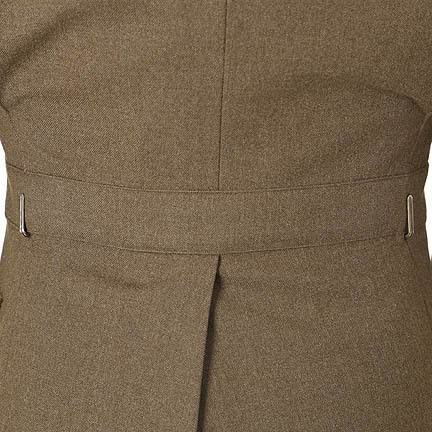 Later, Slim brings Sgt. Nolan back to the canteen and Slim becomes "The Millionth G.I." to walk through the door, winning a date with Joan Leslie. Following her onto movie sets, enjoying musical numbers, and meeting other film stars, a romance blossoms between Joan and Slim. 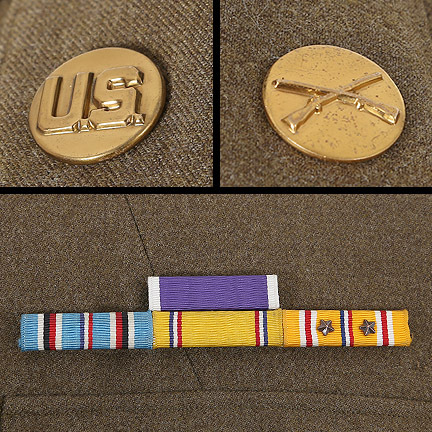 However, his three-day adventure in Hollywood is soon over and the two say their goodbyes as he leaves by train, returning to active duty in the South Pacific. 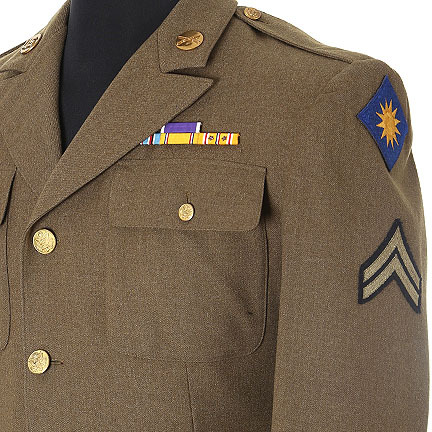 The film is based on the real life club opened for servicemen of WWII to help boost morale. It was created by Bette Davis and John Garfield who also appear in starring cameo roles. 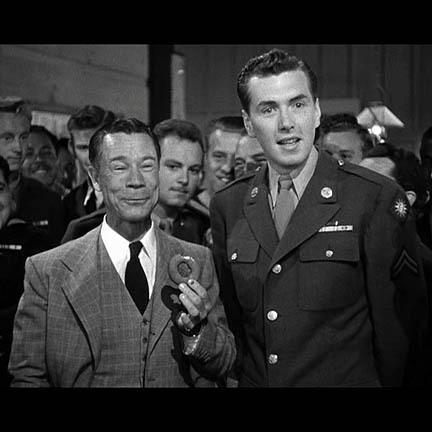 Many of the other cameo actors within the film actually volunteered at the real Hollywood Canteen. The film was nominated for multiple Academy Awards including Best Original Song, Best Sound Recording and Best Original Score. 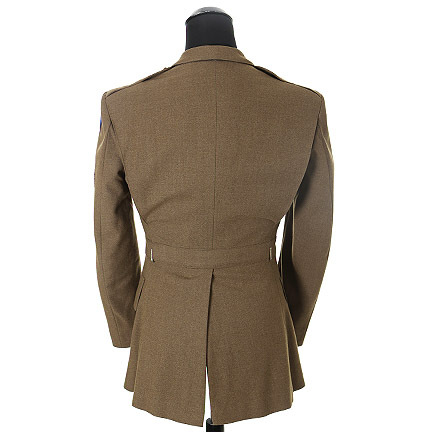 This item is accompanied by a certificate of authenticity.